Provide comfort for the family of Bobby Tooker with a meaningful gesture of sympathy. 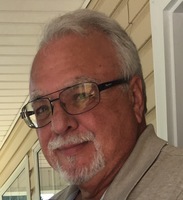 Macon, GA- Bobby Lee Tooker, 67, passed away peacefully surrounded by his family on Monday, April 1, 2019 at the Medical Center, Navicent Health. Bob was born on August 13, 1951 in Shelby, Ohio to the late Dwight Tooker and Oma (Brown) Markwell and step-father, Bill Markwell. Bob is survived by his loving wife of forty-seven years, Brenda; children, Stacey, Ross (Ashley) and Amy Tooker of Warner Robins, GA; step-daughters, Gayle (Walker) Criswell of Craig, CO, and Angie Lyons of Lancaster, OH; nine grandchildren and four great-grandchildren and brother, Michael Tooker and one niece. He worked for many years in management at Kaiser Aluminum in Newark, Ohio and most recently at Tipper Tie, Inc. in Apex, North Carolina. Bob enjoyed spending his time golfing with his son and friends, cooking for his family and working in the yard. It is with great honor that Burpee-Scott Memorial Chapel & Crematory has been entrusted with arrangements. To plant a memorial tree in honor of Bobby L. Tooker, please visit our Heartfelt Sympathies Store.